Cedar Breaks National Monument in Utah is one of the most underrated – and most breathtaking – U.S. National Parks. 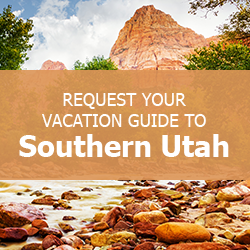 This unique area attraction is located in Cedar City, Utah, and is home to some of the most amazing views in the country. Enjoy hiking, camping, star parties, and more at this rare national treasure. Grab your binoculars and get your gear packed in the trunk; you don’t want to miss a day at Cedar Breaks National Monument in Utah! When you’re ready for more adventure, make sure you take a look at our Local Area Guide. It’s full of information about activities in and around Brian Head, Duck Creek, and Panguitch that your whole family will enjoy! Check it out, and begin planning your amazing family vacation today! You may have been camping before, but you’ve never been camping like this! Point Supreme Campground at Cedar Breaks National Monument in Utah is situated at an elevation of 10,000 feet, making it the perfect place to observe the beautiful scenery. The campsite is intimate, with 25 campsites for tents and RVs. Each site is equipped with picnic tables, grills or fire pits, and water spigots. Chopped firewood is available on site for purchase, and there is a restroom facility with showers on the grounds as well. Check the current conditions when planning a trip on either end of the season. Point Supreme is typically open between mid-June and mid-September, but exact dates shift based on the Cedar Breaks National Monument weather. From beginners to advanced hikers, Cedar Breaks National Monument in Utah has a trail for every skill level. The Campground Trail is a leisurely 1-mile walk from the Visitor Center to the campground with views of the park’s famous amphitheater. Alpine Pond Nature Trail is split into two loops meandering through the forest and meadows. Gaze at beautiful native wildflowers and marvel at evergreen forests, then stop for a break at placid Alpine Pond. Spectra Point and Ramparts Overlook Trail is a bit more difficult. This 4-mile round trail follows the rim of the park, providing stunning views on every side. Rattlesnake Creek Trail is an adventure for advanced hikers, taking you 9.8 miles through rugged terrain as it follows some of the area’s natural creeks and gorges. Bring your map for this trip, as trail markers can be difficult to follow. If your family is up for braving a little snow, there is plenty to do at Cedar Breaks National Monument in Utah throughout the winter months. Try snowmobiling over the thick layers of beautiful white snow, or ski across the landscape for a close-up view of the winter wonderland. Take a guided snowshoe hike on Saturdays from January through March. Tours are free, and snowshoes and poles are provided, but be sure to make a reservation before heading over. After you and your family have taken in the scenic views at Cedar Breaks National Monument in Utah, come back to one of our gorgeous vacation homes to relax! We have several properties conveniently located within a short drive of the park, meaning you can enjoy a day trip and still make it home for dinner. Filled with amenities and tastefully decorated, Family Time Vacation Rentals have everything you need to relax after a day of hiking or a short camping trip. Contact us today! We look forward to helping you make memories during your next family getaway!